Senators discussed the Commission of Investigation (Irish Bank Resolution Corporation) Bill 2016 which is at its second stage. This is the Cregan commission which is examining sales of assets by State-owned IBRC, including the sale of Siteserv to Denis O’Brien €45.4million, while Siteserv owed Anglo €150million. As Senator Diarmuid Wilson stated, this commission of investigation arises mainly out of the Siteserv controversy. 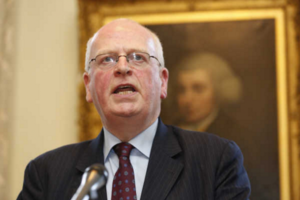 It is notable that on 25 April 2015, the former chairman of IBRC [Alan Dukes] stated that the board had rejected a Department of Finance proposal to appoint a senior civil servant to the board on the basis that such an appointment would be unsuitable. In the same article in The Irish Times, he stated a Mr Woodhouse had been kept out of discussions regarding Siteserv because he personally handled Mr Denis O’Brien’s relationship with IBRC. 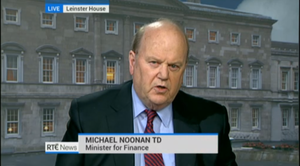 He stated a different executive in IBRC, Mr Tom Hunersen, had handled the Siteserv transaction. This is worrying because, three years earlier, a posting (in comments) appeared on the broadsheet.ie website suggesting Mr Aynsley, Mr Hunersen and Mr O’Brien were socialising together at the time when the transaction in case was taking place. It is also worrying that Mr O’Brien was reported in 2014 by The Irish Times as having made a major investment in a Massachusetts-based IT firm in which Mr Hunersen was one of the moving parties. The former chairman of the IBRC claimed Mr Woodhouse had stepped aside from this transaction. He seems to have re-emerged recently in the context of the story in The Irish Times that many Members of this House read last week. Again, the question arises as to whether there is a connection between him and Mr O’Brien. A more fundamental question arises as to who is organising the campaign of intelligence-gathering of Mr [Mark[ Hollingsworth, the so-called journalist engaged in coming to Members of this House, among others, and passing himself off as one seeking to identify the source of leaks about Mr O’Brien’s dealings with IBRC. These are very serious issues. This matter is particularly relevant because, according to the story in The Irish Times, a major British security firm was the recipient of the material collected by Mr. Hollingsworth in Dublin. We heard later, according to evidence given in the High Court, that a USB key appeared on the desk of Mr O’Brien and that he, for the first time, discovered the material that Mr Hollingsworth was privy to in Dublin. The use of an English security firm in this respect is not a new phenomenon in Ireland. We should remember also that there was elaborate industrial espionage and surveillance in the context of the takeover of the Independent News & Media group at the time between the O’Reilly interests and the O’Brien interests, if I may use that term. In that case, newspaper reports indicated that 11 operatives operating from a Dublin hotel were engaged in fairly extensive surveillance of the then managing director of Independent News & Media and that it was eventually determined that an English espionage firm or intelligence-gathering firm called Esoteric lay behind that. Surprisingly, Independent News & Media, which later came under the control of Mr O’Brien, largely speaking, has been unable to work out who commissioned that investigation. I am also worried in another respect. It was reported in the media that Irish Water had concluded an extensive contract with a company in the Isle of Man [Another 9 or A9 Business Recovery Services] chaired by Mr Leslie Buckley and, in which, Mr Denis O’Brien was a large investor. 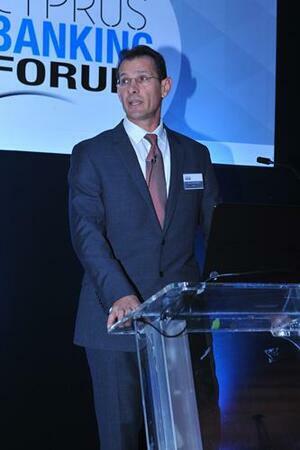 He is described in its publicity material as a leading Irish entrepreneur. The function of that company is to advise Irish Water against the hacking of its sites. It appears the main business of this company in the Isle of Man, which is owned by Mr O’Brien and chaired by Mr Buckley, an associate of Mr. O’Brien, concerns computer security and countermeasures against computer hacking. Although no particular figure was put on the computer security services of Irish Water, it is interesting that it was suggested in the media at the time that, over five years, €1.2 million was spent on this kind of activity on the part of Irish Water. One must bear in mind also that at least one of the newspapers controlled by Mr O’Brien has, since the emergence of the dispute about water charges and the legislation we considered in this House some days ago, run a fairly heavy campaign, with many editorials and articles, on the subject of Irish Water. This is a serious matter. I will finish on two points. 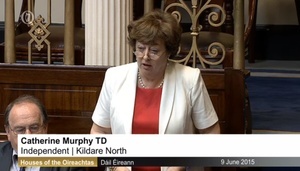 Last week in a different context, although Mr O’Brien had a walk-on part in it, the Ceann Comhairle, as Chairman of Dáil Éireann, publicly queried whether it would be necessary to introduce a system of fines to strengthen the powers of the Chair to prevent the abuse of Dáil privilege. This House has its own Standing Orders, its independence and its own Committee on Procedure and Privileges. As a member of that committee, I do not believe Members of this House are disposed to abusing their privilege at all, nor do I believe the use of financial penalties to preserve the privacy of important people the Irish political and economic environment should be permitted by this House. I do not believe we should go down that road. It is for the other House to make up its own mind on fines for its Members. We must remember that these Houses are the defendants in a court action brought by Mr O’Brien. He has sued the institutions of this State. He has also sued individual Members of these Houses on occasion and has threatened to do so on many more occasions. Free speech is very important. 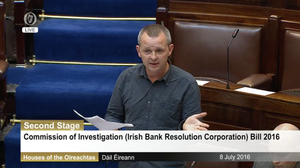 As far as I am concerned, the Cregan commission is dealing with just one set of issues, the activities of the IBRC, only some of which involve Mr O’Brien or companies connected with him. However, there are other major issues to be borne in mind arising from the Moriarty report, which found Mr O’Brien had indirectly channelled the guts of €1 million to former [Fine Gael] Minister, Deputy [Michael] Lowry, after the awarding of a telecommunications licence to him. It found that elaborate efforts to deceive the Moriarty tribunal had been made, including the falsification of letters to cover up the involvement of the relevant parties. I wish all speed and every success to the Cregan commission. I welcome this legislation. Members have an obligation to be fair but not to be entirely impartial but it is important that these issues be dealt with in a process that is fair and impartial and, above all, has the means of establishing the truth, because the Irish people do deserve the truth. 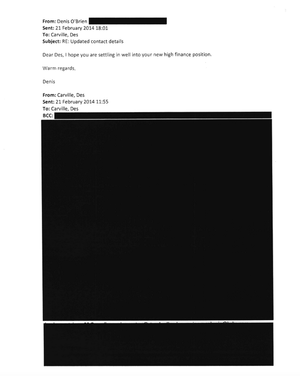 Posted in Misc and tagged Denis O'Brien, IBRC, Irish Water, Michael McDowell, Richard Woodhouse, Senate, Siteserv, Tom Hunersen at 2:37 pm on July 20, 2016 by Broadsheet. But but himself and Michael O’Leary are the heros of every middle manager with a bottom of the range BMW 316 on the never never and a cardboard house in an area they think is posh but really isn’t and will look like crap in 10 years. And who love Formula 1. There’s a world of a difference between MOL and DOB. MoL is tax resident in Ireland. At least there’s that. 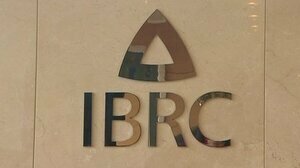 I suspect that the fact that the IBRC logo is a pyramid within a pyramid is no coincidence. Do we really ‘deserve’ the truth? Why? Is it not national apathy and ignorance that has allowed this kind of situation? Where is the law? The stench of corruption everywhere and nobody arrested. No law brought forward to prosecute with. Status quo maintained at all costs. We deserve nothing until we wake up as a nation and act. Darn. Talked myself out of some truth with my big mouth. nothing will happen. so sick of nothing happening. One could even say that he is running the country! and more to do, or his bondholders will tear him apart. The corrupt will win. They will keep winning until finance, politics, justice and business are no longer monopolized by a small clique of Jesuit taught crooks and their vassals. Many ‘lay’ people see nothing wrong with corruption. On the QT they think it’s natural. Elections parade this mentality without fail. It found that elaborate efforts to deceive the Moriarty tribunal had been made, including the falsification of letters to cover up the involvement of the relevant parties. Any other country you’d be locked up for this.. nevermind the actual bribing. Saying a USB sticks just showed up on your desk too, you’d be seriously interrogated and if found to have illegally gotten the information, you’d be looking at jail time. Wait, are we expected to take an anonymous comment from a posting on a broadsheet story as a ‘source’? Was that the only point that jumped out at you! Denis O Brien looks like Danny De Vito as the Penguin sans make up.but infinitely more sinister.Wasnt long ago this scum was being lauded for paying Trappatoni’s wages either in a simple PR exercise and even now with an ever growing mountain of stinking manure growing around his activites he still gets a free pass.I hope there is a hell because surely the likes of him are going there. Not only Trapp’s but Martin O’Neill’s, Keane’s and Johnny Sexton’s as well. KNow with all the dodgy stuff and funny logo`s and funny walks it raises the question is Denny a mason or just a smart blue shirt, Fg, that be, with small g of course. haven’t been able to blunt much of the critism, will they be ditched and sold off.